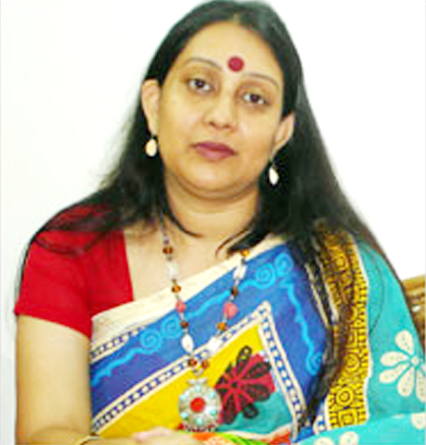 Hi, I am Farhana Hakim, I have more than eleven years of experience both in handicrafts world & multinational field having extensive experience in formulating corporate vision and long term strategy, leading all marketing related functions including numerous product innovations. I have worked with other reputed handicrafts organization like Dhaka Handicrafts, DEW, HEED Handicrafts in Bangladesh which are known as Fair Trade organization & as well as I have work experience with ECOTA- Fair Trade Forum in Bangladesh. So that I am well aware of the ten standards of The Fair Trade which are most important in Handicrafts business promotion right now. So with the believe of Fair Trade practices we have established Twin Trims. Most of producers of Handicrafts sector in Bangladesh are poor woman, so it is important for the woman producers to have someone, who can understand their need as well as demand and taste of Handicrafts. I think I have a soft heart through which I can touch the joy, sorrow and other feelings of those poor producers who are working for the Handicrafts sector. Woman plays an important role in the economy of Bangladesh as well as in the handicrafts world. Through my talent and effort, I wish to establish a strong platform for the betterment and empowerment of woman producers. I solicit all of your kind support to Twin Trims to be that platform.